Prince Albert comes up with a royally creative solution to Queen Victoria’s modesty concerns in this true story that reveals an overlooked splash of history. Poor Queen Victoria! She loves to swim, but can’t quite figure out how to get to the water without her devoted subjects glimpsing her swimming suit. (Because, of course, such a sight would compromise her regal dignity.) Fortunately for the water-loving monarch, it’s Prince Albert to the rescue with an invention fit for a queen! This quirky tale about the longest reigning monarch in British history is as fun as it is authentic, and the book includes a picture of the actual bathing machine Prince Albert created. Queen Victoria’s Bathing Machine by Gloria Whelan; illus. 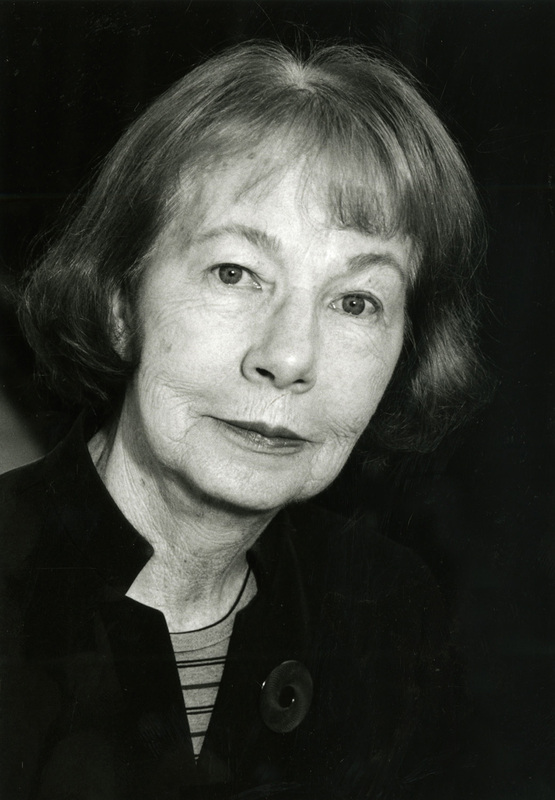 by Nancy Carpenter How could Queen Victoria get into the sea on a hot day? Modesty decreed that she mustn’t be seen in her bathing costume. It’s Prince Albert to the rescue with a queen-sized bathing machine—large enough to fit the queen and her lady-in-waiting, and with wheels to roll it into the sea, where the waters would conceal Her Majesty. This entertaining story nicely encapsulates a curious bit of social history, though its glimpse of the royal family is as much fantastical as realistic, with a jaunty tall-tale tone governing a rhymed text (delighted with his creation, Prince Albert crows, “Let me tell you, my dear, what I propose. / You enter the back door wearing all of your clothes. / Off comes your dress, off come your rings, / off come all those unmentionable things”). Carpenter ably limns eight or so children in lively attendance, riding globes or peering through telescopes while Albert studies catapults or “old wars both Spartan and Punic.” The stifling frills and furbelows of Victorian dress; the loving couple’s delight in each other; and jacket art of the queen frolicking underwater in her voluminous black swimming costume, a minnow in her crown—Carpenter renders each in comical detail. A concluding note features a present-day photo of the commodious vehicle. A bibliography of Victoriana for various ages is appended. In delightful rhyming prose, Whelan brings history to life recounting an amusing anecdote of Queen Victoria and her bathing machine (currently on display at Osborne House on the Isle of Wight). One hot summer day, the British queen longs to take a refreshing dip in the sea, but her lady-in-waiting is scandalized. “It would be a disgrace/to see more of the queen than her hands and her face.” Victoria’s devoted husband, Albert, gives all his genius to the problem, promising to come up with a way to transport her unseen from the beach to the water. He discards his first idea involving a catapult, but inspiration strikes in the middle of the night. “Just after midnight/Albert sprang from the bed./A brilliant idea/had come to his head.” He starts working on his invention the next morning, constructing a portable dressing room on wheels. Impressed and excited, Victoria dons her bathing suit inside the clever contraption and the bathing machine is then rolled into the sea, whereupon she dives right into the surf and indulges in a glorious swim. The digital artwork deftly portrays the loving relationship shared by Victoria and Albert. Comical details and the inclusion of the royal couple’s nine mischievous children in many of the scenes add to the fun. For a royal day out at the library, pair this outstanding title with Celeste Davidson Mannis’s The Queen’s Progress (Viking, 2003). 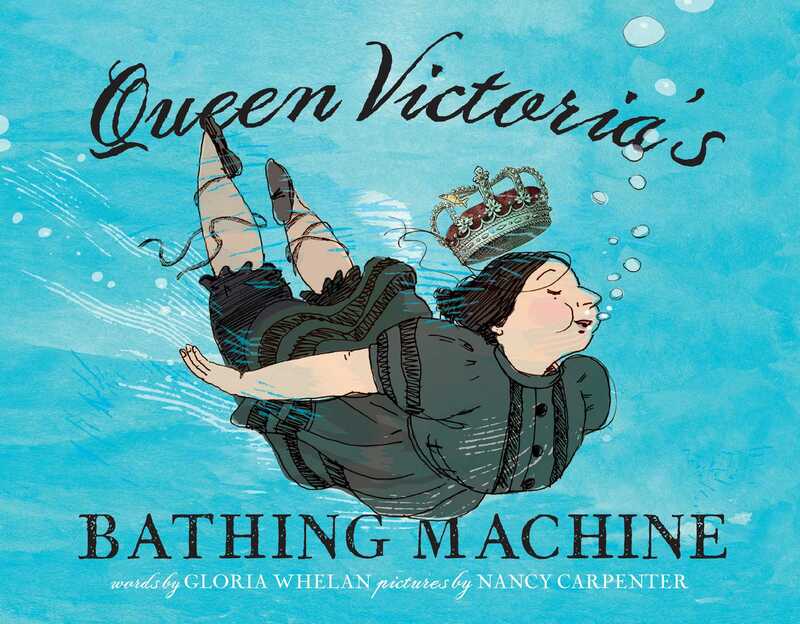 * Poor Queen Victoria gazes longingly at the sea from her balcony while being tightened into a sweaty corset and petticoats at the start of this lilting picture book from the author of Small Acts of Amazing Courage (2011). It would be indecent, after all, “to see more of the queen than her hands and her face,” but taking a dip in her full regalia would mean a quick trip to the seafloor. How can the queen enjoy a summer swim while still retaining her royal modesty? After abandoning his idea of a catapult to fling Her Majesty into the ocean, industrious Prince Albert devises a cart to be wheeled into the surf, so Victoria can change into her bathing costume and step into the water hidden from nosy onlookers. Carpenter’s jaunty illustrations, digitally rendered line drawings with colorful washes, depict the hot, uncomfortable queen surrounded by her beloved, rambunctious gaggle of children, who all pitch in to help build Albert’s invention. Based on Prince Albert’s real invention (a photo of the bathing machine and a brief biography of Queen Victoria is appended), this swingy, silly story in rhyming couplets offers a cheery glimpse into the life of a queen and a charming lesson on how necessity is the mother of invention. The informative author’s note and bibliography lead readers on to more.